Z+ VR BOX is the first six-dimensional suspended simulator that incorporates VR content. It is the result of a frequently asked question by operators of small parks and indoor FECs as to how they can offer their customers a ‘big coaster’ experience when they do not have the space or budget to do so. 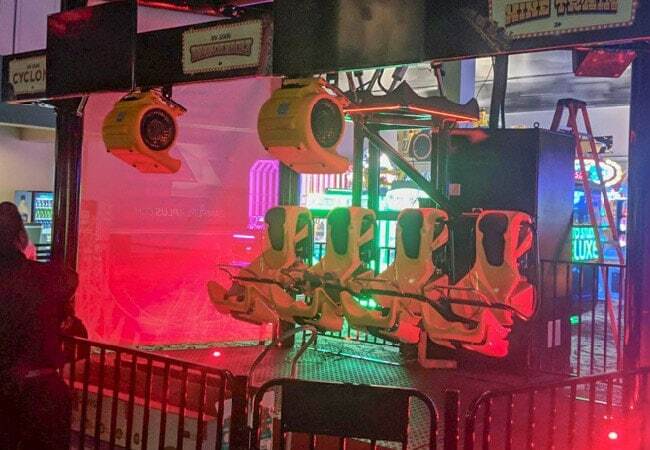 VR BOX has the capacity of eight riders on two rows of four suspended seats and it was launched during IAAPA 2017. 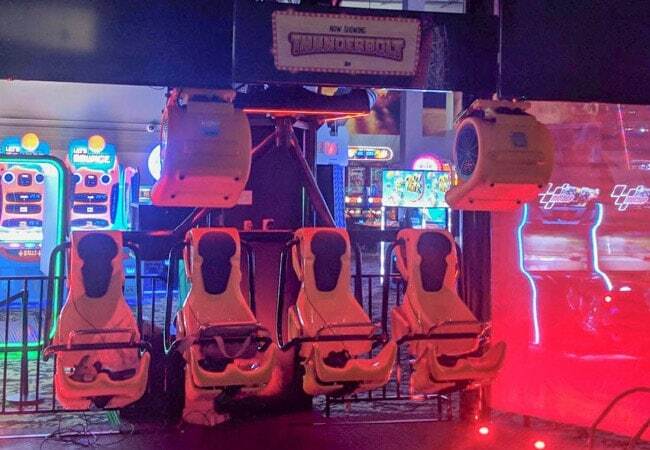 During 2018, at Zamperla Plus (Z+), we realized there was an upcoming request for a more compact version, therefore we created the new VR BOX 4 seats (on one row). The first simulator was installed in September at Andretti Indoor Karting and Games in Orlando, USA. At the location it is called The Gear Coaster and it allows visitors to choose from three exciting virtual reality adventures: Mine Train (Zamperla Coaster in Ocean Park, HK), Cyclone (historic wooden roller coaster in the Coney Island) or Thunderbolt (Zamperla Coaster in Coney Island). These movies are real roller coaster rides shot with 360° cameras. After the first two months operating at Andretti, we have received very positive and encouraging feedbacks from the operator and visitors. VR BOX is one of the best attractions in terms of tickets sold and revenue per square foot.